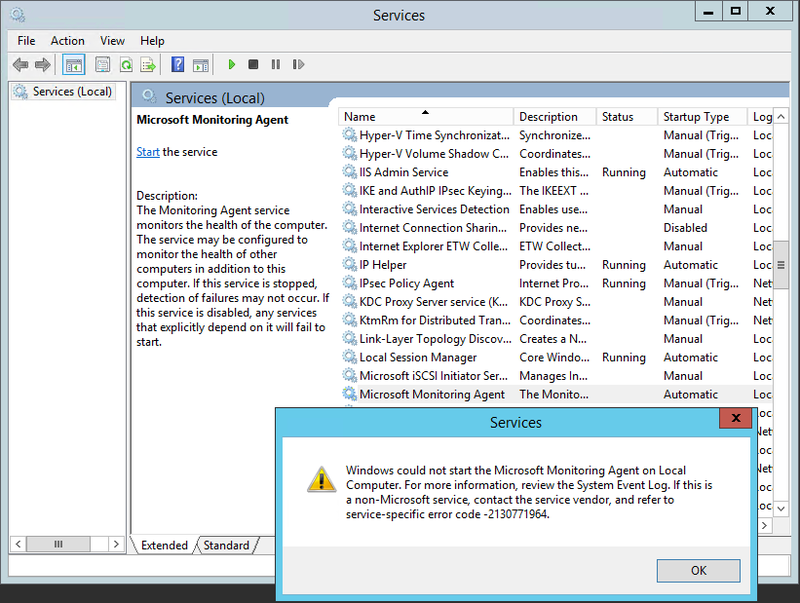 I have a few systems that developed an issue were the Microsoft Monitoring Agent service (HealthService), a System Center Operations Manager 2012 client agent service, would not start. 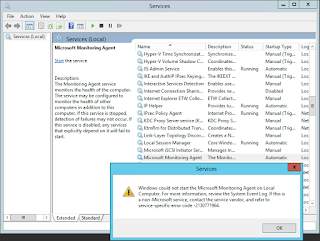 "Windows could not start the Microsoft Monitoring Agent on Local Computer. For more information, review System Event Log. 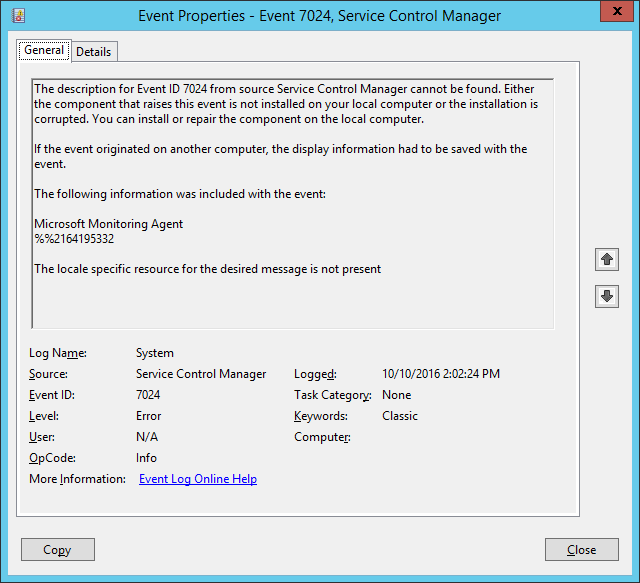 If this is a non-Microsoft service, contact the service vendor, and refer to service-specific error code -2130771964"
"The description for Event ID 7024 from source Service Control Manager cannot be found. 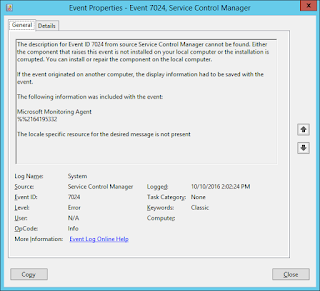 Either the component that raises this event is not installed on your local computer or the installation is corrupted. You can install or repair the component on the local computer. If the event originated on another computer, the display information had to be saved with the event. 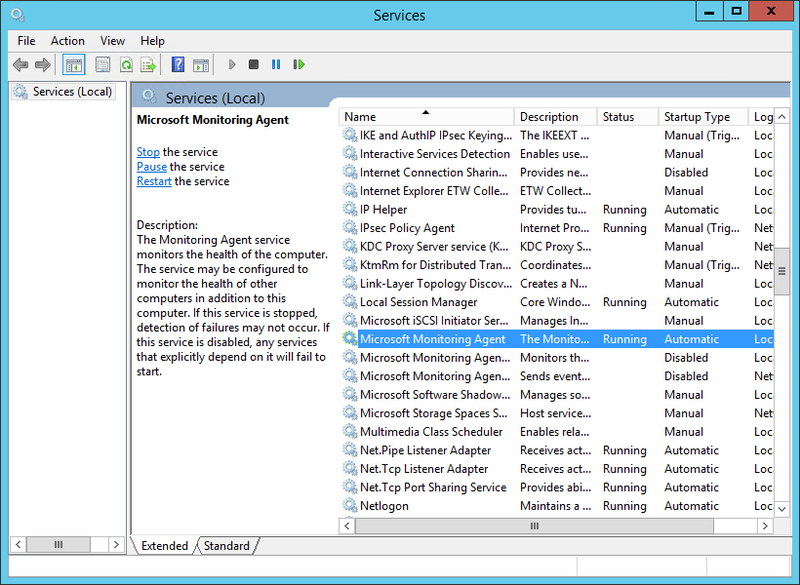 The following information was included with the event: Microsoft Monitoring Agent %%2164195332 The locale specific resource for the desired message is not present"
There's a couple TechNet articles in regards to this service not starting (permissions on registry entries and folder permissions), but I couldn't find my exact issue. 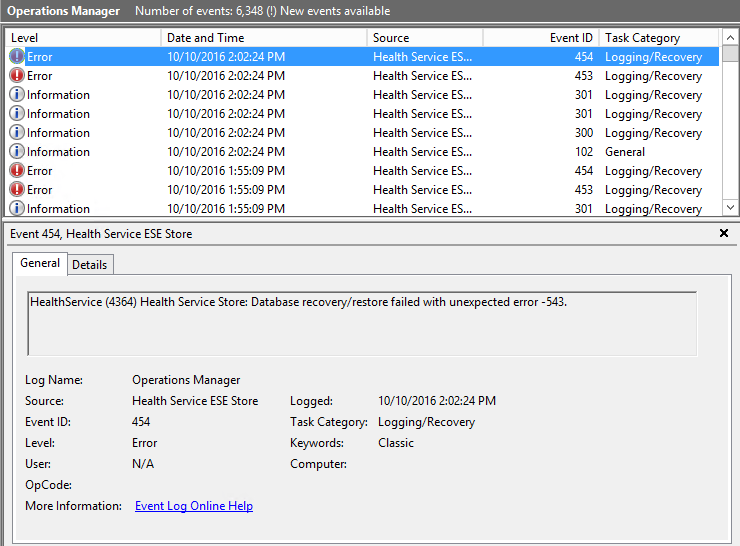 I finally found the culprit in the Operations Manager Logs - it appeared to be a corrupt database issue. 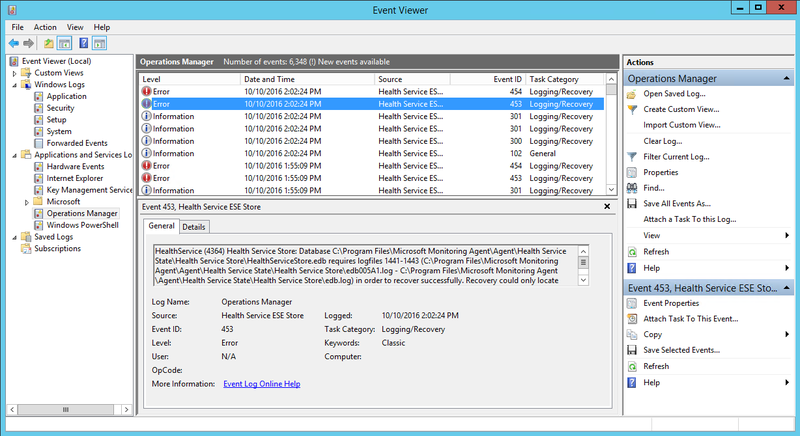 "HealthService (4346) Health Service Store: Database recovery/restore failed with unexpected error -543." 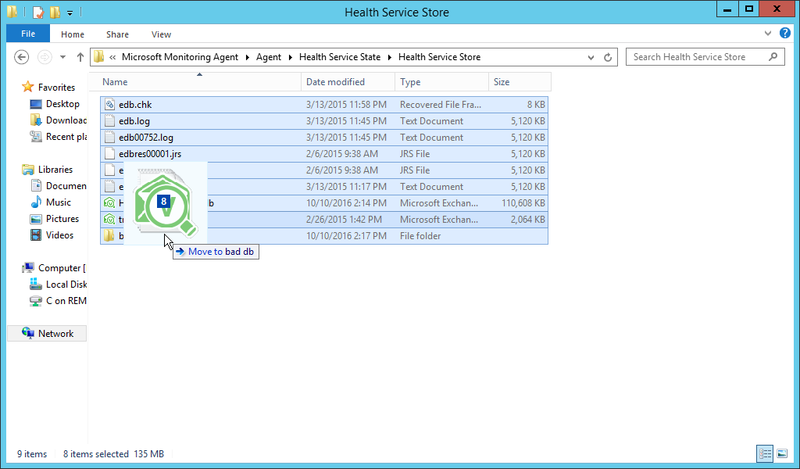 "HealthService (4364) Health Service Store: Database C:\Program Files\Microsoft Monitoring Agent\Agent\Health Service State\Health Service Store\HealthServiceStore.edb requires logfiles 1441-1443 (C:\Program Files\Microsoft Monitoring Agent\Agent\Health Service State\Health Service Store\edb005A1.log - C:\Program Files\Microsoft Monitoring Agent\Agent\Health Service State\Health Service Store\edb.log) in order to recover successfully. 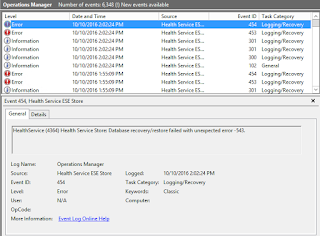 Recovery could only locate logfiles up to 1442 (C:\Program Files\Microsoft Monitoring Agent\Agent\Health Service State\Health Service Store\edb005A2.log)." 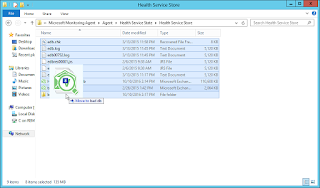 Move or Delete the database files located in "C:\Program Files\Microsoft Monitoring Agent\Agent\Health Service State\Health Service Store"
The database should be recreated if there's no other issues. Moving corrupt database to a new folder. 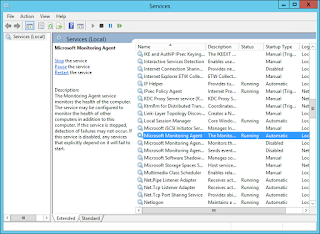 Microsoft Monitoring Agent service running after corrupt database was moved. Thank you. The info in this article solved my problem. 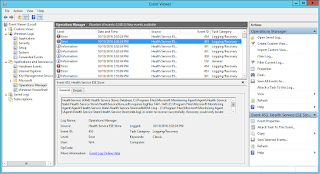 Thanks for sharing about "SCOM Agent HealthService Not Starting"